For either of the dressings, place all the ingredients in a mason jar. Cover tightly and shake, shake, shake! 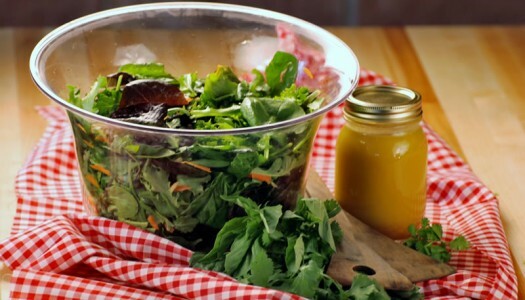 Store any leftover in the fridge for your next salad. 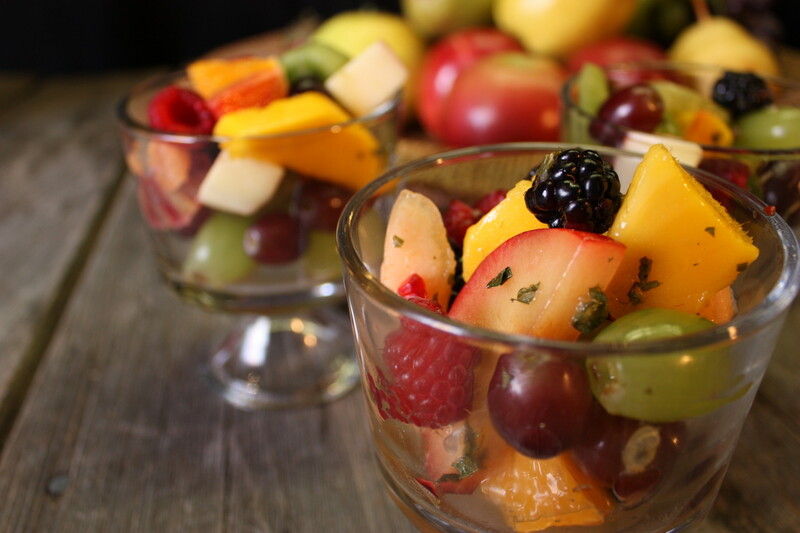 To make the salad, start by washing, peeling and trimming any variety or combination of fruit as necessary. Place in a large festive bowl and dress with either dressing. Serve and share. Put any combination of fruit in the blender and puree to create a fruit smoothie, ready for immediate consumption. Alternatively, pour into ice cube trays and freeze for fruit smoothie ice cubes – a frosty treat that’s good anytime and good for you! Sharp peppery arugula meets rich buttery eggplant and vibrant roast tomatoes in this wonderful salad.